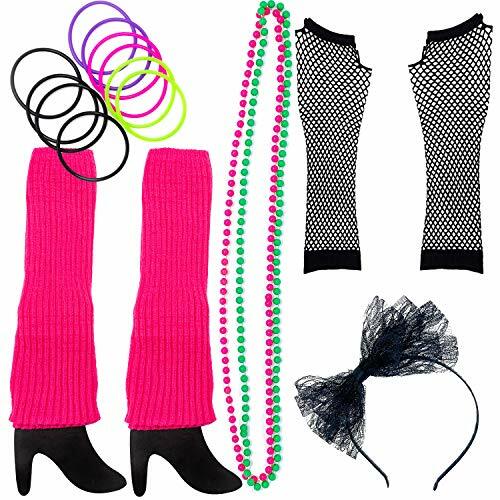 Size: leg warmers, tutu skirt and fishnet gloves are stretchy, fit for girls and women. 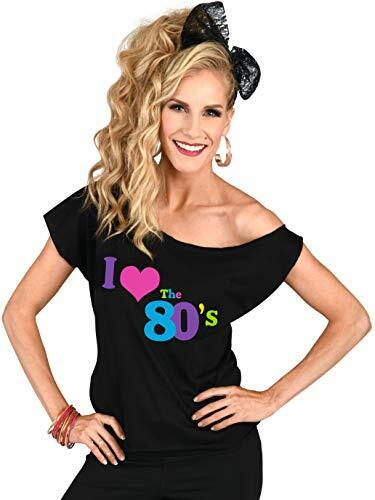 Neon bangle diameter: 2.7 inches, neon bead necklace length: 15.7 inches, neon earring length: Love: 2.5 inches, You: 2.1 inches, T-shirt: 4 sizes, S - XXL, confirm the size before buying. 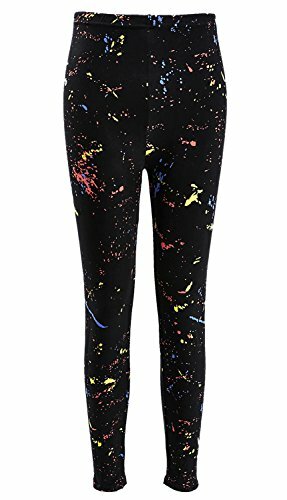 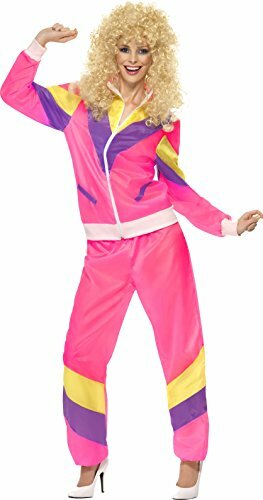 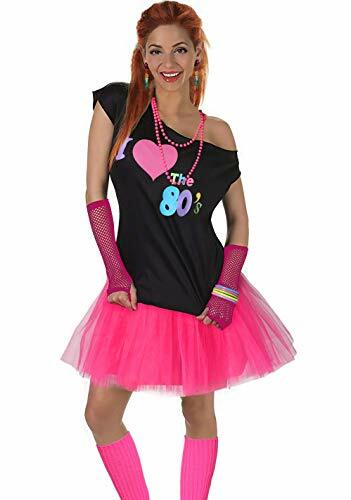 Applications: They are suitable for many parties, such as 80s themed party, masquerade and so on, fit for girls and women, they can make you become more attractive when you wear them in the party, easy to catch the eyes of people, you will be the shinning one. 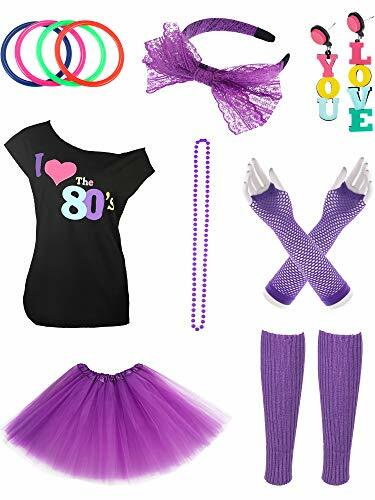 Package includes: 1 Pair leg warmers 1 Piece lace headband bow 1 Piece counts pearl necklace 4 Pieces bracelets 1 Piece t-shirt 1 Piece tutu skirt 1 Pair earrings 1 Pair fish net gloves Warm note: please look the picture carefully as the products in the individual set has some different in color.